Shielded nRF24 - better Range? I have significant range problems within my apartment (thick walls I think). I'm currently using the PA+LNA version (wrapped in aluminium foil) as gateway and the standard nRF's as senders/receivers. The question is: When I swap my current PA+LNA gateway with one of these shielded modules, can there be an improvement in the range to the other modules? The main difference of this module is: this module uses genuine NRF24L01 IC, another brown PCBs contain in most cases fake NRF24L01, probably overlabeled SI24R1! I think that range was better than fake NRF. Good way to recognise fake modules is measurement current in power down mode. Genuine have about 500nA but fake about 4uA! But if you use PA+LNA version the power consumption is a little higher. I use red PCB marked as E01-ML01D and there is range better than modules with fake NRF. You can compare power consuption, if you received this new module. I think that your old module contain fake NRF and have worse current consumption. Original module have about 1uA in sleep mode, fake module have worse! At this module seller declared power down mode current under 1uA, you can check your current module in power down mode, if current is significantly different you have got fake. Very interesting. Can someone tell which ebay item is genuine red NRF24L01? Or other source with a reasonable price with delivery. I think that all other parts with NRF24L01+ marked as E01-ML01xx are genuine, but from china is hard to vouch for anything. Is until another chinese factory do make this type of red boards with counterfeit IC. But is only one chance to make this better, testing received goods for declared parameters and if you received counterfeits then don't pay for it and opening disputes and leaving negative feedback for this sellers and don't leave sellers get profit on this fake goods! @HenryWhite That is nice to hear that you ordered 2 items, however now I am confused because you said before that you thik aboit "E01-ML01DP5 Ebyte 20dBm 2100m SPI NRF24L01+PA+LNA", not these red ones (without PA and without external antenna). Of course we would like to have comparable results. Yesterday I found out that if you think that you have a good power for NRF24L01+PA+LNA, just because "other model NRF24L01+PA+LNA workw fine" it is not the case. After not getting good results with external switching power, I replaced it with linear regulator based on AMS1117 and was pleasently surprised that it helped in my case. Now at least cheap ebay NRF24L01+PA+LNA works. But for 5 same instances I built, I have different quality. 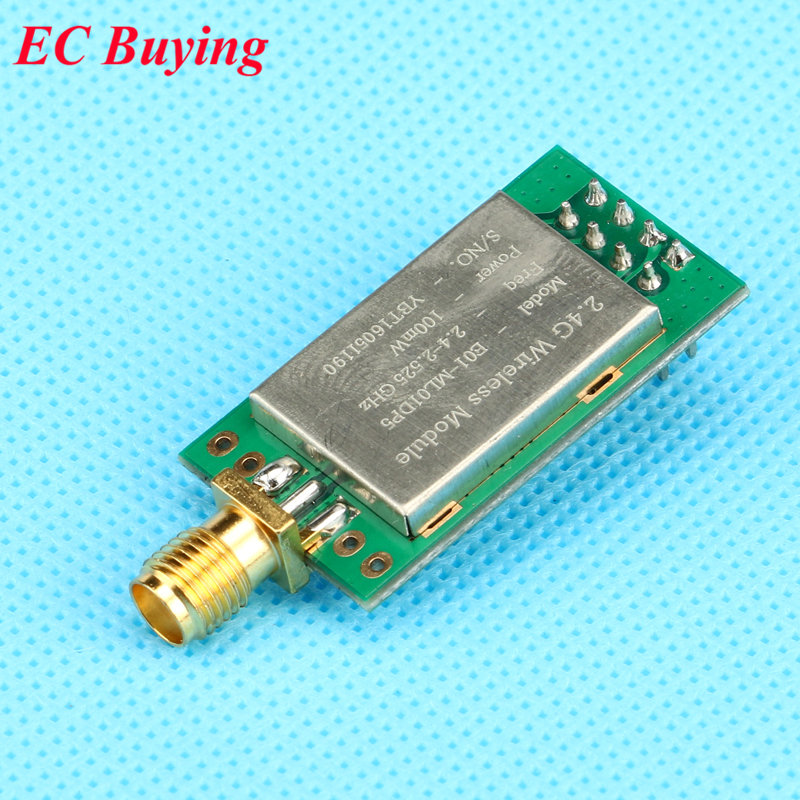 I will try to compare it with no antenna cheap ebay NRF24. Initial measurement shows funnny results where best seams to be gateway with antenna and nodes without external antenna. Of course it is nice since the price, but what we all wish is to have as good as possible gateway / repeater and as cheap and smaller nodes. So if red model without ext antenna or your shielded model is better at least for gateway... that shoud be nice. I forgot to mention that I am interested of inter building communication (hotel) with as least gateways or repeaters as possible. the red ones are intended for the nodes, I'm still thinking of getting the item in my first post for my gateway.